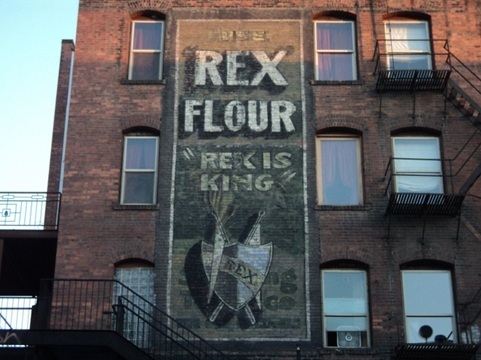 Like many buildings in the East Downtown Historic District, the Frederick/Longbotham building speaks to Spokane's past through the many faded advertisements still visible on its exterior. At the top of the north, east, and west walls on the exterior of the building, one can still see the faint but readable sign of the Frederick Hotel. In the 19th century, Spokane was a cocoon waiting to emerge into an industrial age. 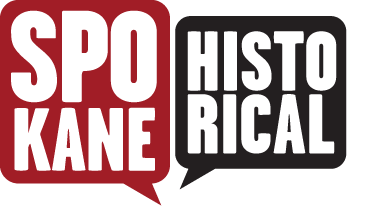 Spokane's "Great Fire" in 1889 left the city with a blank canvas, allowing new businesses and entrepreneurs to emerge. As a major inland railroad hub, Spokane flourished bringing men from near and far seeking wealth and opportunity. The demand for cheap housing for men working the rails and nearby mines was met in the form of Single Room Occupancy Hotels (SROs). 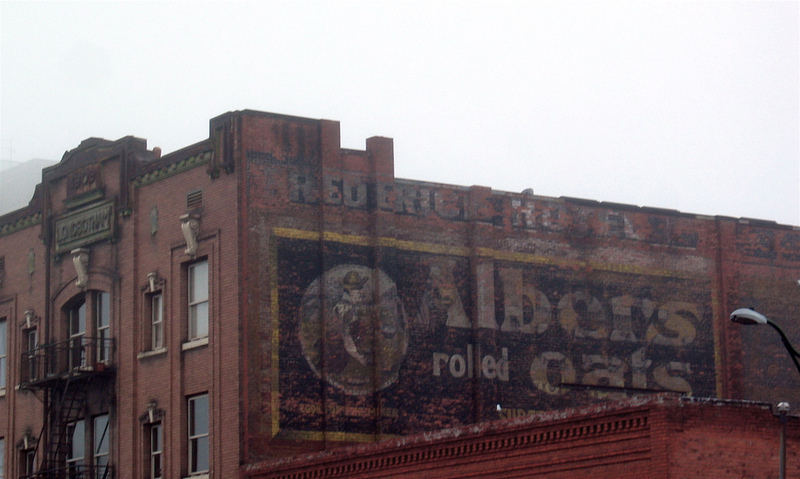 In addition to the painted banners for the Frederick Hotel, the Frederick/Longbotham building is also home to advertisements by Albers Rolled Oats, Rex Flour, and Bull Durham Tobacco, all painted around the construction of the building. These advertisements were strategically painted in places of high visibility, appealing to SRO residents and the workers passing through from the nearby rail depots. To learn more about the Bull Durham Tobacco advertisements featured on this building, see Story 17 of the Ghosts of Spokane Tour, "Boots Bakery and Bull Durham Smoking Tobacco." 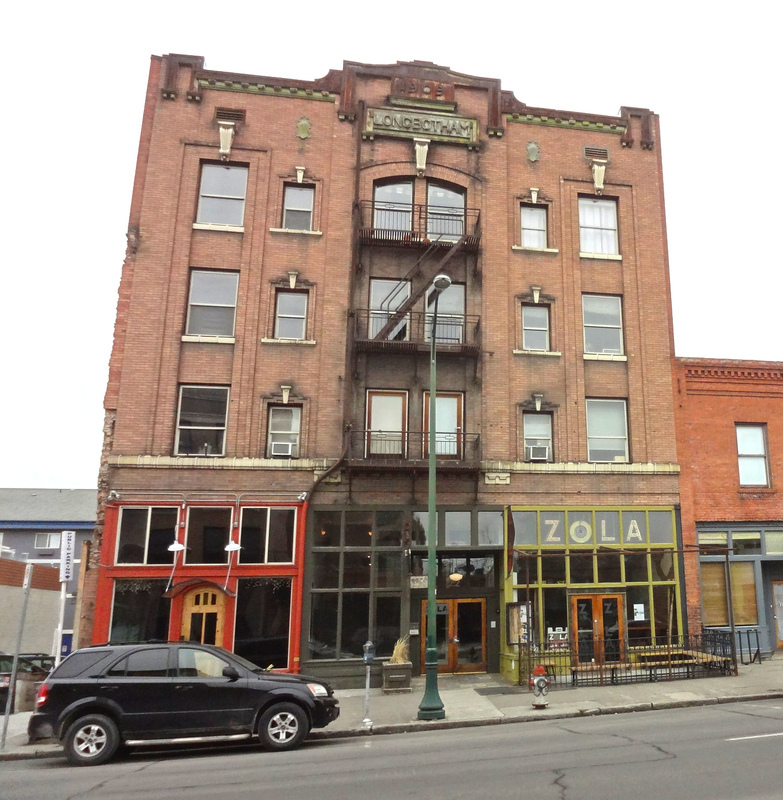 Axle Olson and Anna Harbine, “Frederick/Longbotham Building,” Spokane Historical, accessed April 20, 2019, https://spokanehistorical.org/items/show/352.